My brain is singing that song non stop while I was making the figurines for the little boy Hayden. 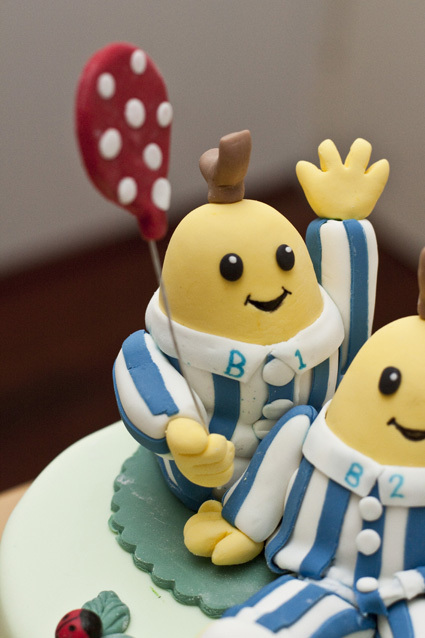 Oh my god, I still remember I watched B1B2 when I was young! I watch Barney too hahahaha Actually I'm even more surprised that it is still watched by the kids now! 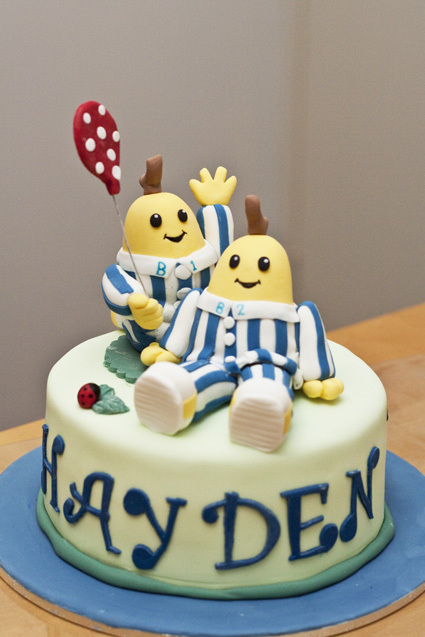 This cake was requested by Hayden's lovely mum for his 2 year old birthday! 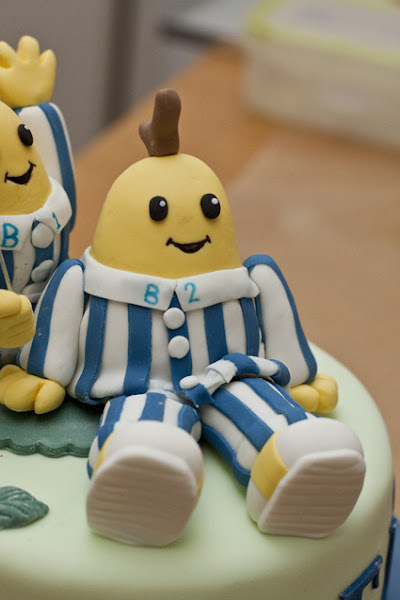 When she told me that she wanted B1B2 on the cake, I was quite excited about it! haha Look up B1B2 on google to look at them again in detail. I enjoyed making them! Such a cheerful and fun Bananas~ Added Balloon for to celebrate Hayden's big day! Yay!